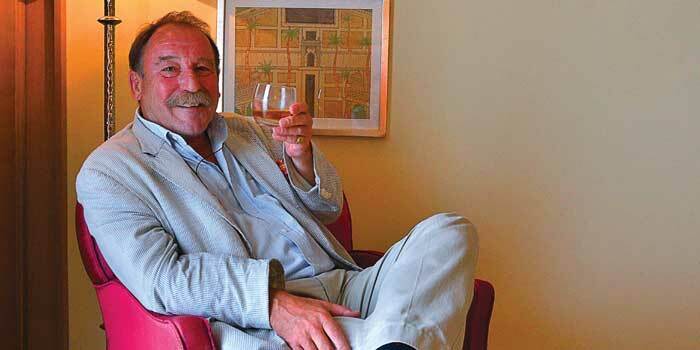 One of the top tasters and authorities on single malt whisky in the world, Charles MacLean, visited Bangalore in association with The Singleton of Glen Ord, a single malt whisky which sells in variants of 12, 15 and 18 years. We caught up with the man who has written several books on whisky, including MacLeana��s Whiskypedia, a a�?ridiculously detaileda�? book on the history of malt whisky and its sensory valuation. In a freewheeling chat, Maclean tells us how his favourite part of his books are the stories he weaves into them. He is currently working on two books on whisky. With more Indians warming up to single malts, how to best enjoy it becomes a talking point. a�?There are two types of tasting: hedonistic, for enjoyment alone, or analytical, to analyse,a�? he begins as he warms up to his favourite topic further. a�?There are three main guidelines to whisky appreciation,a�? he explains. a�?Smell is fundamental for appreciation, so use the right glass a�� a proper spirits nosing glass (a narrowa��topped tulip) or a Glencairn glass. If you dona��t own a Glencairn, a white wine glass or a sherry copita would work equally well.a�? Then add the whisky. a�?Dona��t pour too much, leave space to swirl the whisky without spilling it. Then put your nose to the glass.a�? Second is the ice factor. Several people enjoy their whiskies, even single malts, with ice, but to taste the whisky at its best, skip the ice, he advises. a�?Ice suppresses aroma. Thirdly, say yes to water a�� a small amount. Not too cold, rather it should be cool, about 16 degrees. If you are pouring icy cold water, cup the glass in your hands to warm it.a�? How much water is the next point. a�?This depends on the whisky you are tasting. Is it strong a�� cask strength? The purpose of water is to open up the whiskya��s aromas, and make it easier to hold in your mouth a�� strong whiskies can give a burning sensation if undiluted. And finally, enjoy.a�?